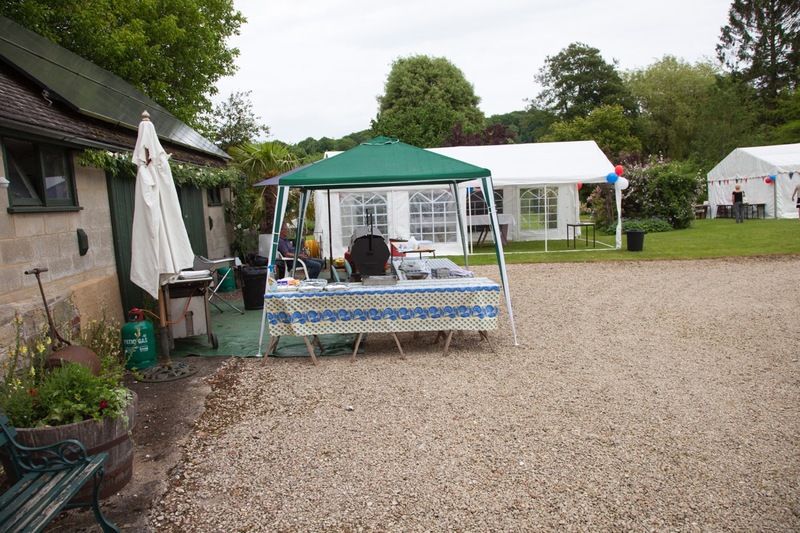 As many of you will be aware, the village now possesses two marquees. 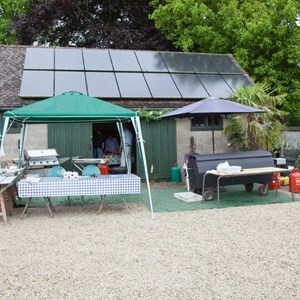 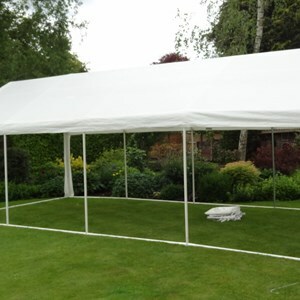 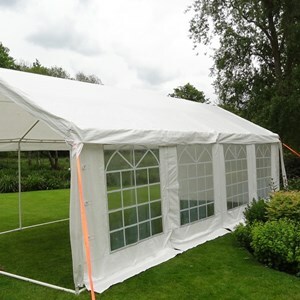 They are for hire on the understanding they are not insured and any parts that are damaged must be repaired or replaced by the person hiring the marquee. 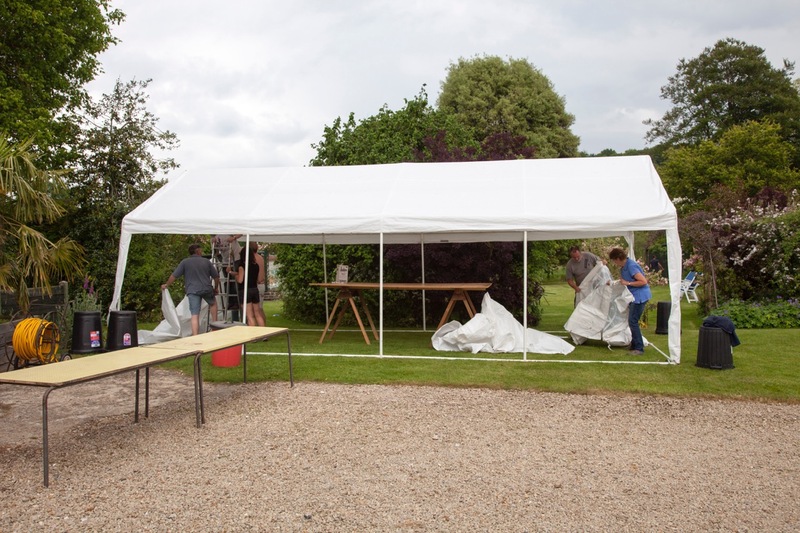 Both marquees are now properly bagged and labeled, and it is important that they are returned in the same condition as they went out and bagged appropriately. 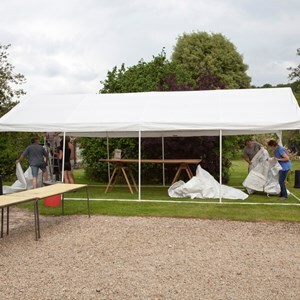 Also if at all possible, please try and ensure that the marquee material is dry before it is bagged, otherwise mould quickly forms. 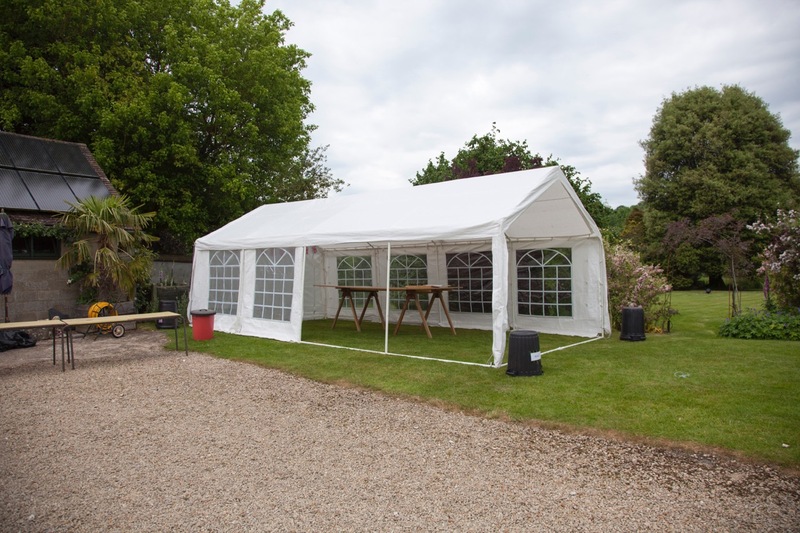 I am generally quite happy for the marquee to be returned a day or so late if by doing so has allowed the marquee to dry out properly. 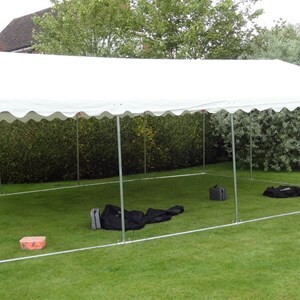 Also please peg and tie it down properly to prevent it being moved or blown over by the wind, especially if it is being left erected overnight. 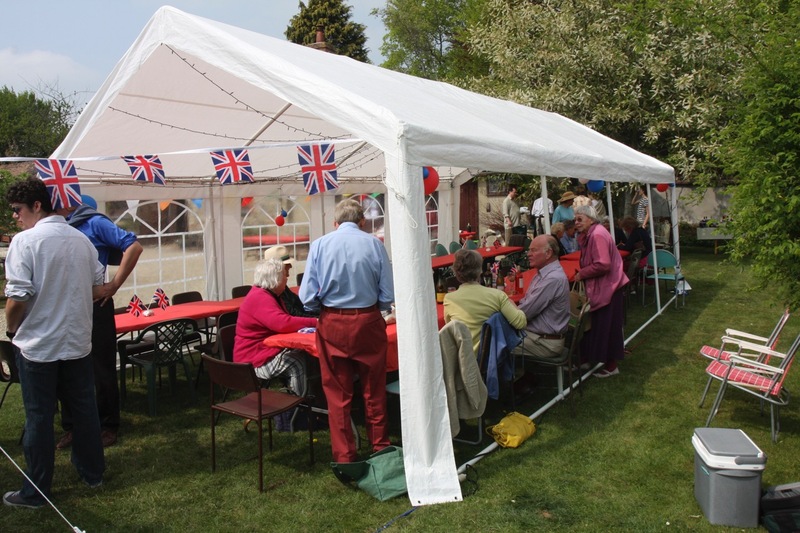 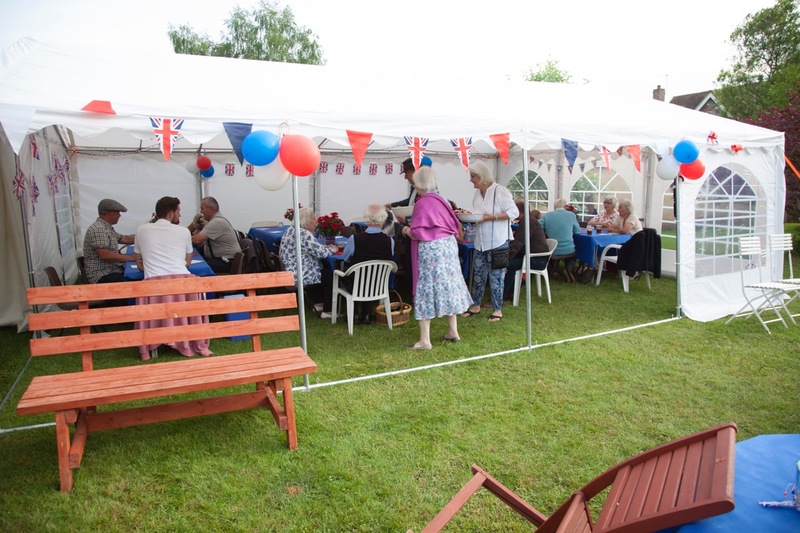 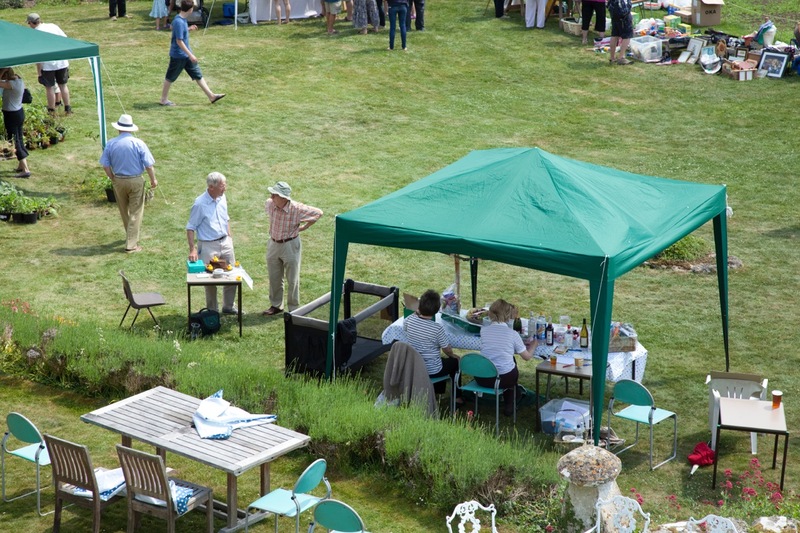 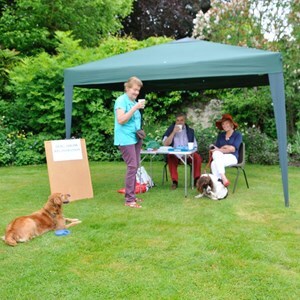 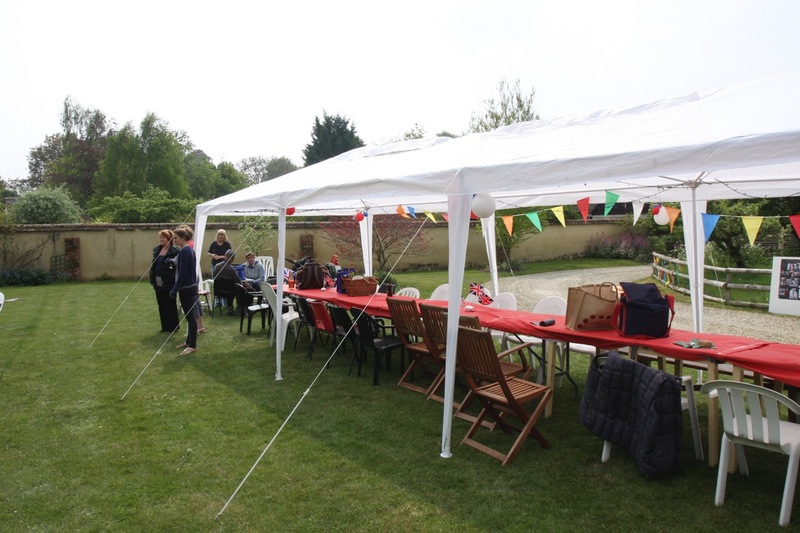 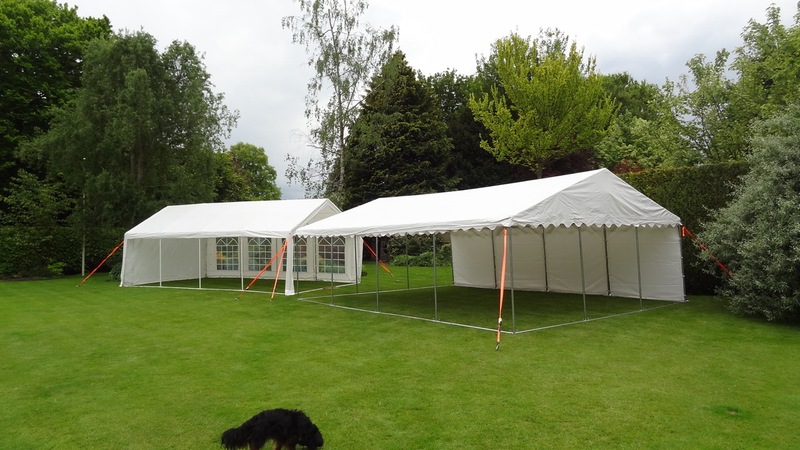 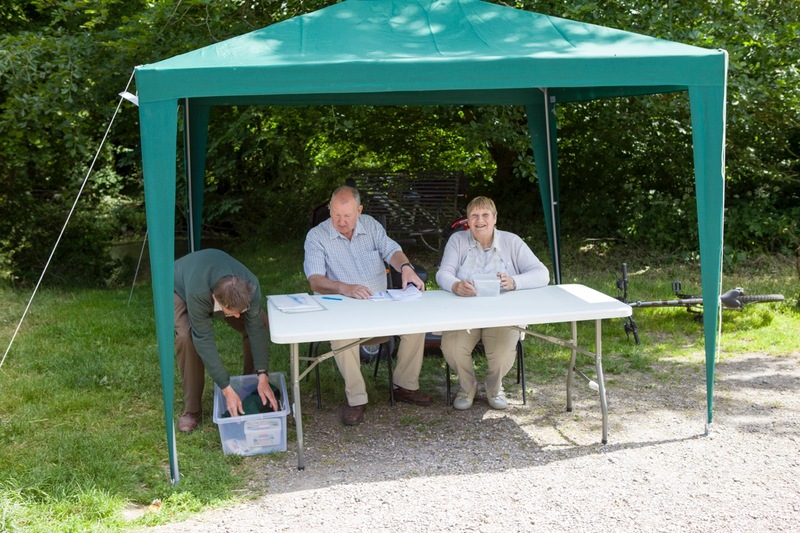 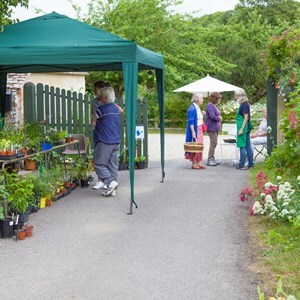 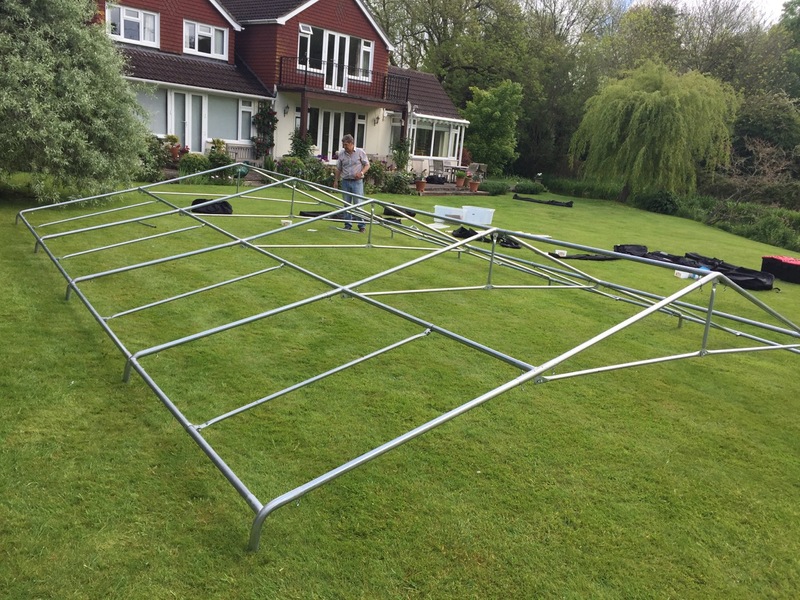 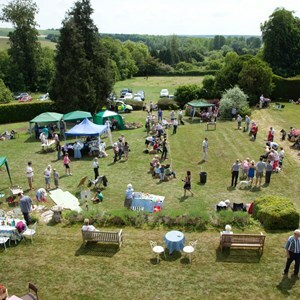 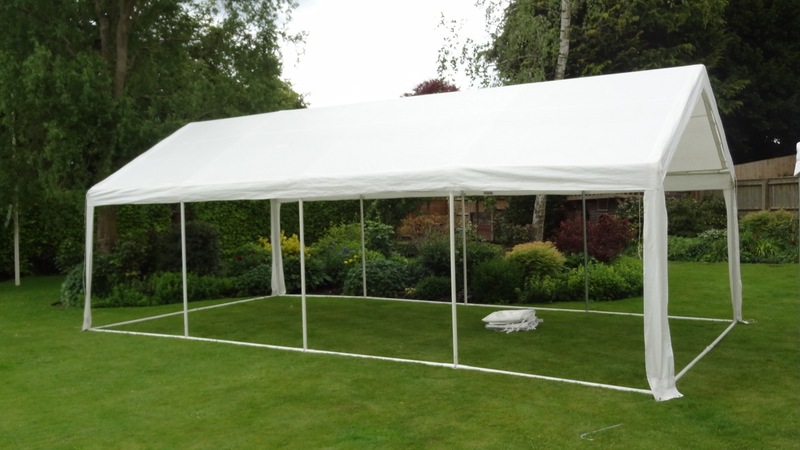 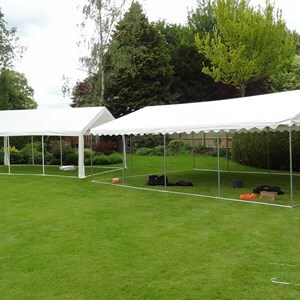 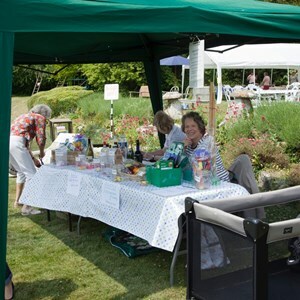 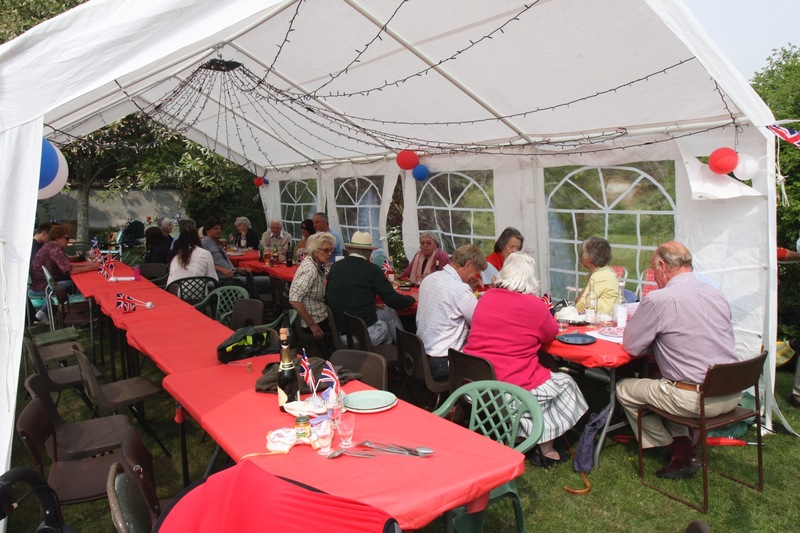 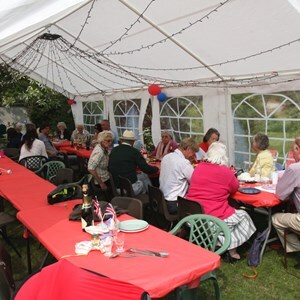 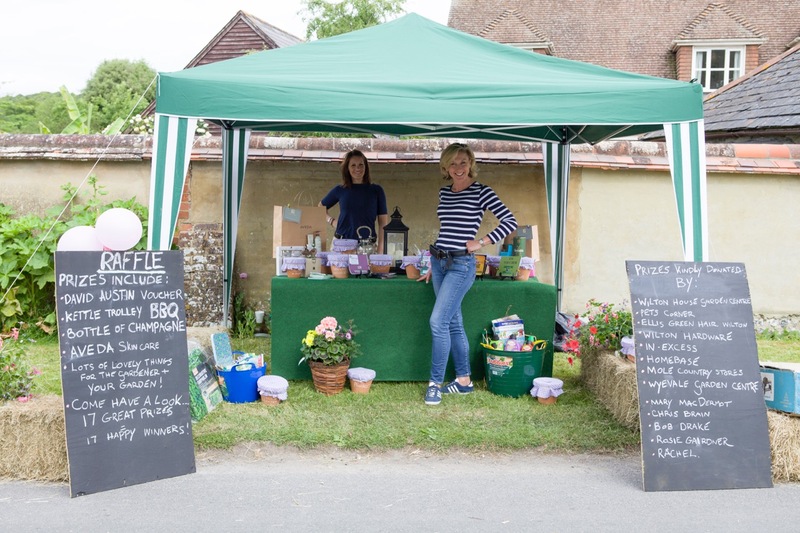 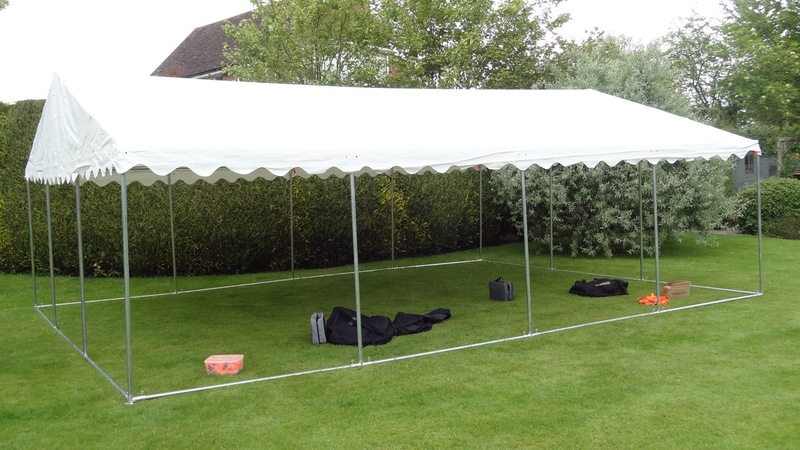 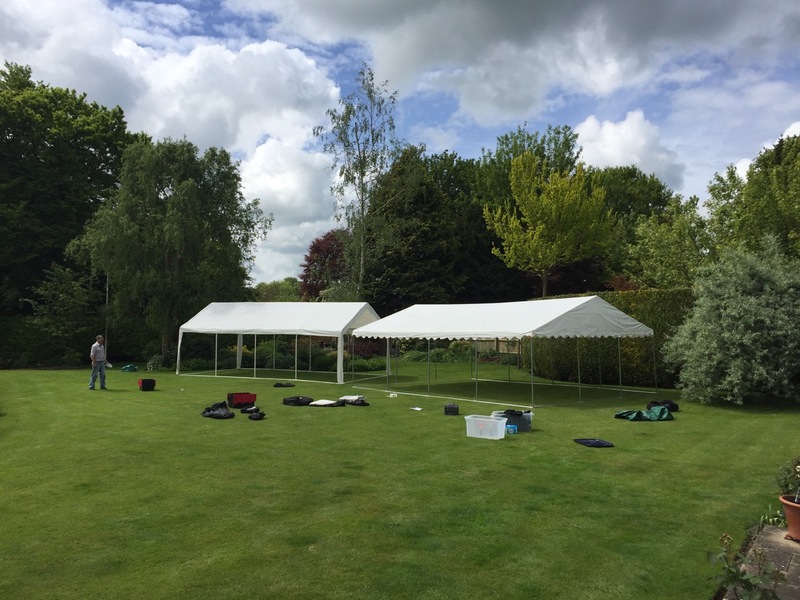 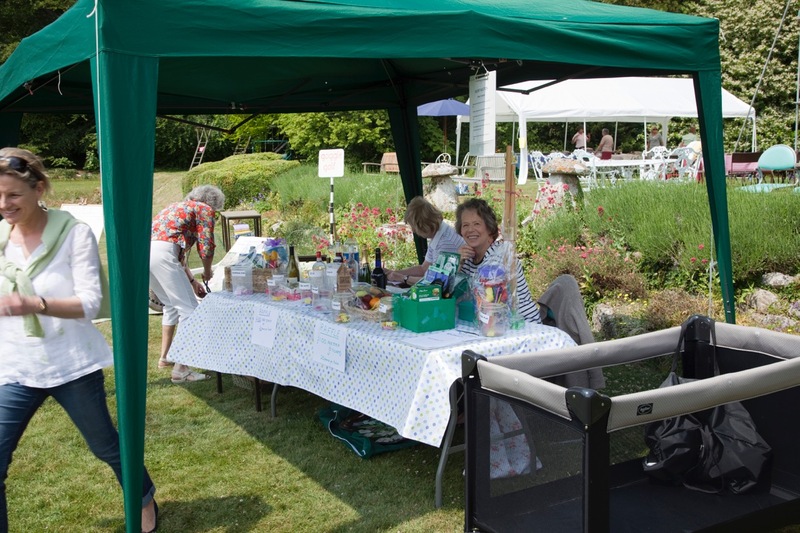 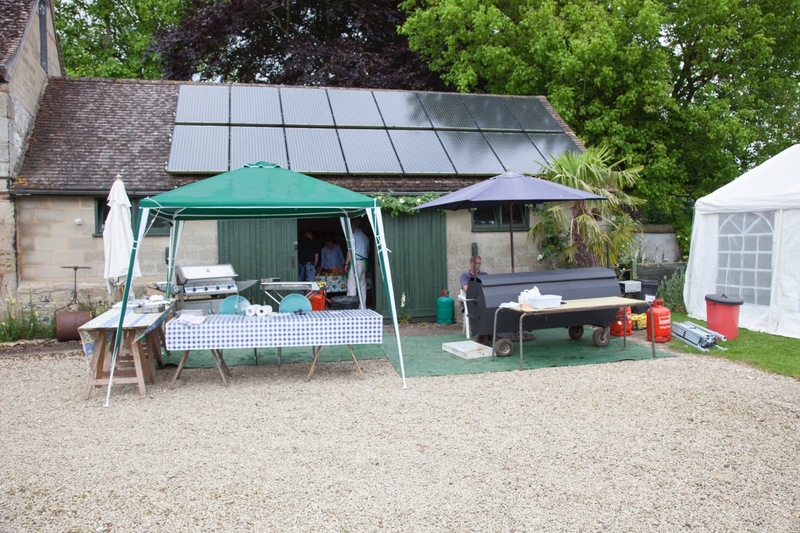 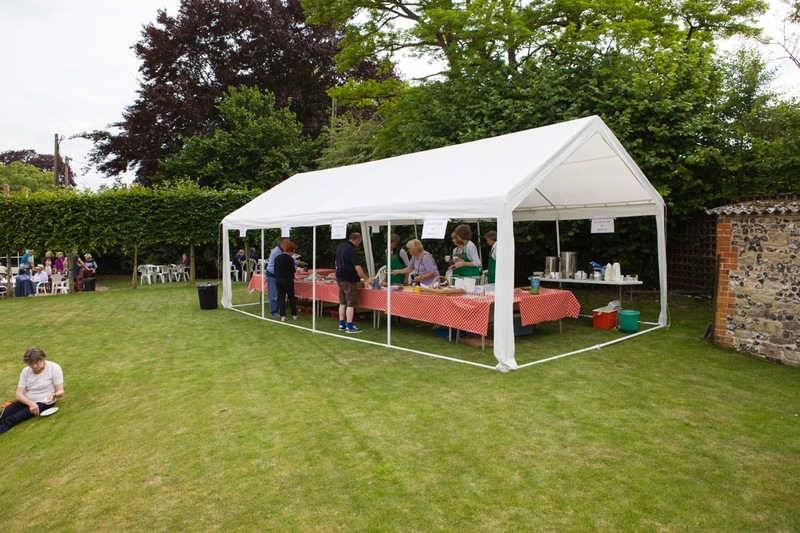 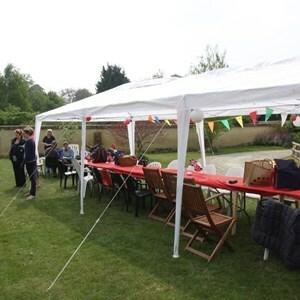 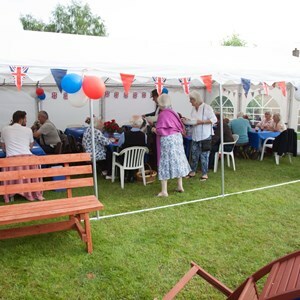 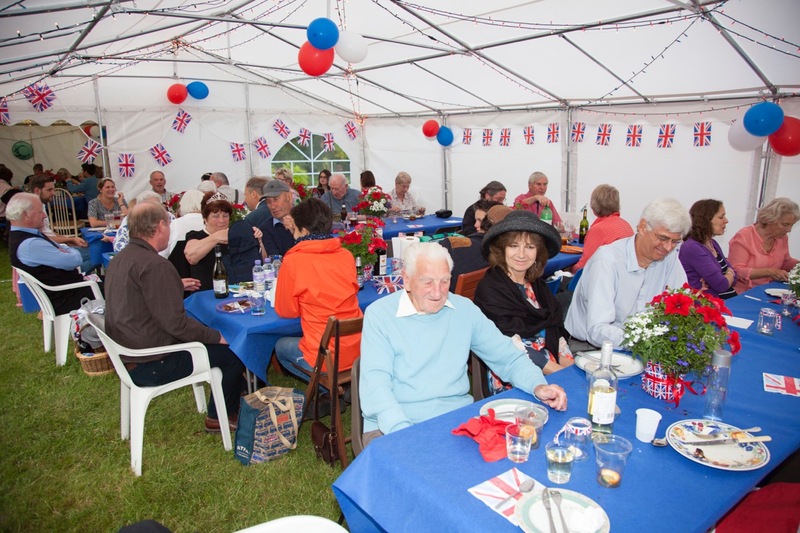 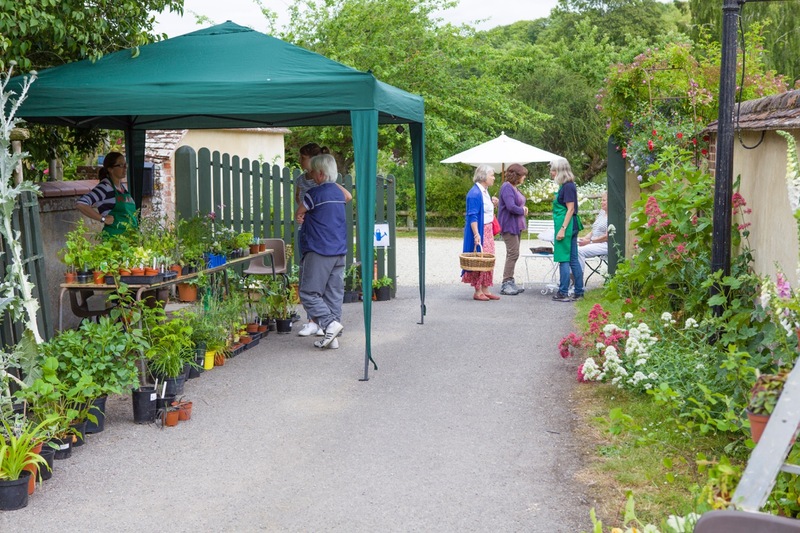 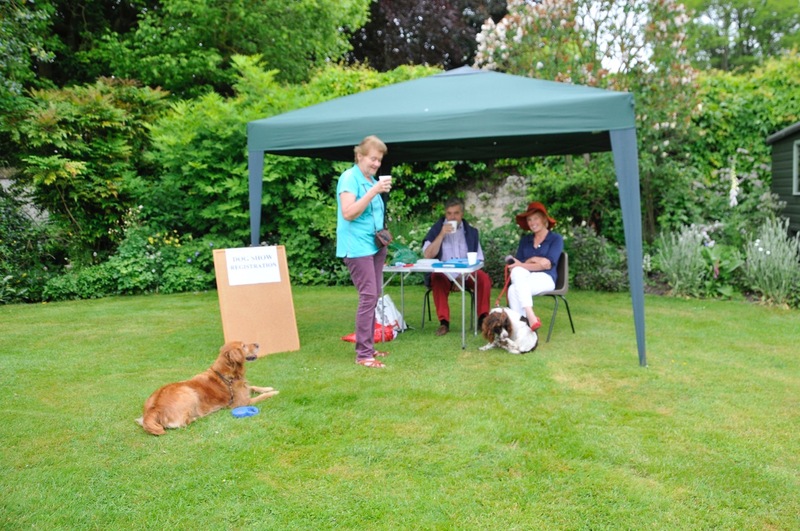 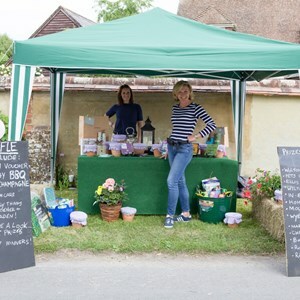 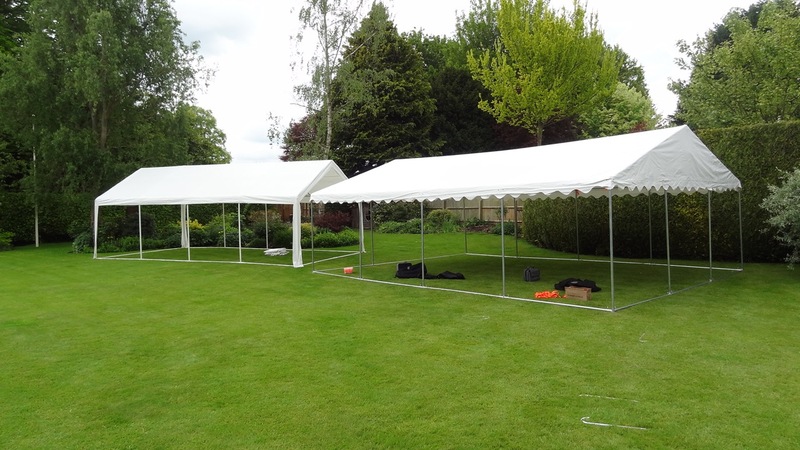 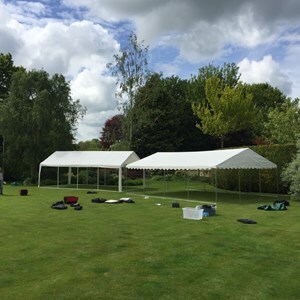 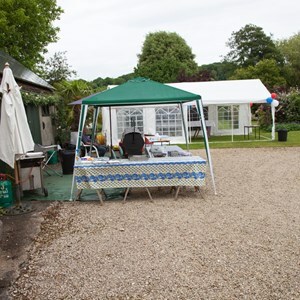 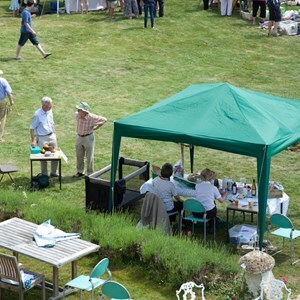 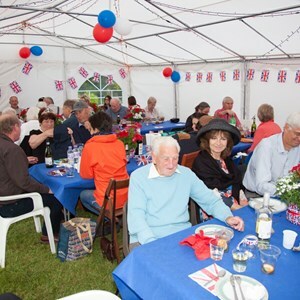 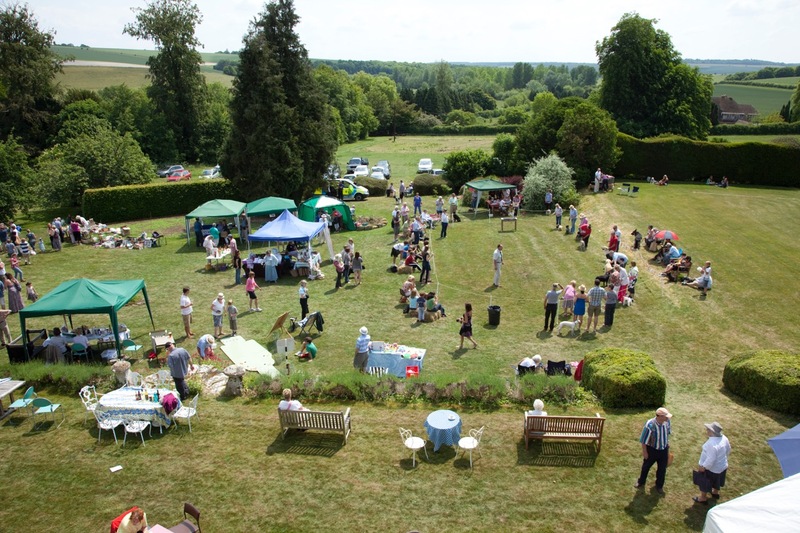 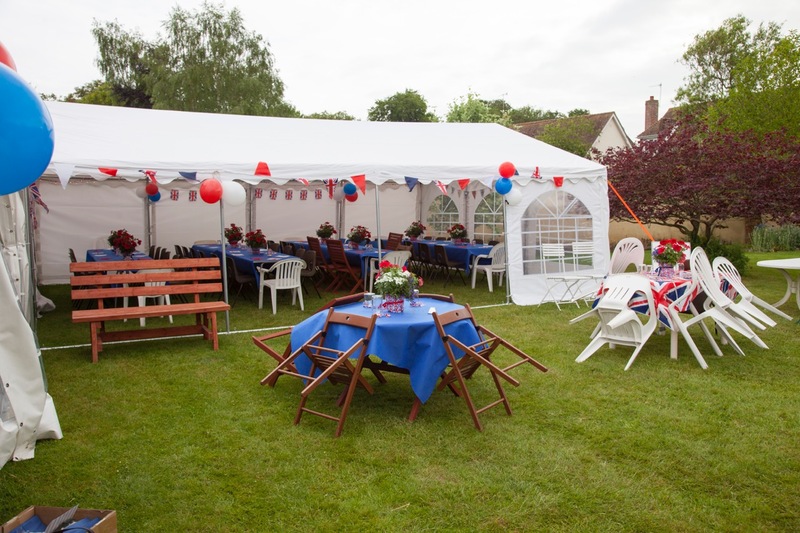 I have included quite a number of pictures of the gazebos and our two marquees at various private and village functions so that you can get an idea of the various sizes of the units and whether they would fit where you want to erect them. 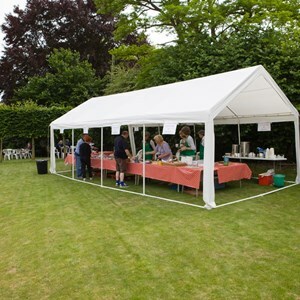 If the marquees are looked after properly, both of them should last for a long time and continue to be very useful assets for the village. 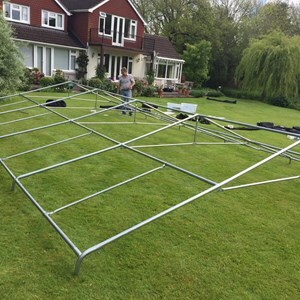 If I’m available I will always come and give a hand to erect and dismantle it, in order to minimise the chance of any inadvertent damage through unfamiliarity with putting one up, and to ensure that all nuts and bolts are used properly and recovered after use. 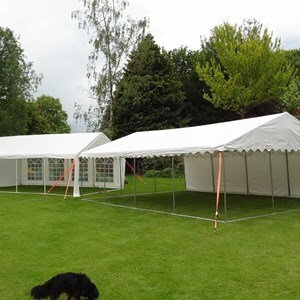 If you would like to reserve one of the marquees, please either email me or call me at home. 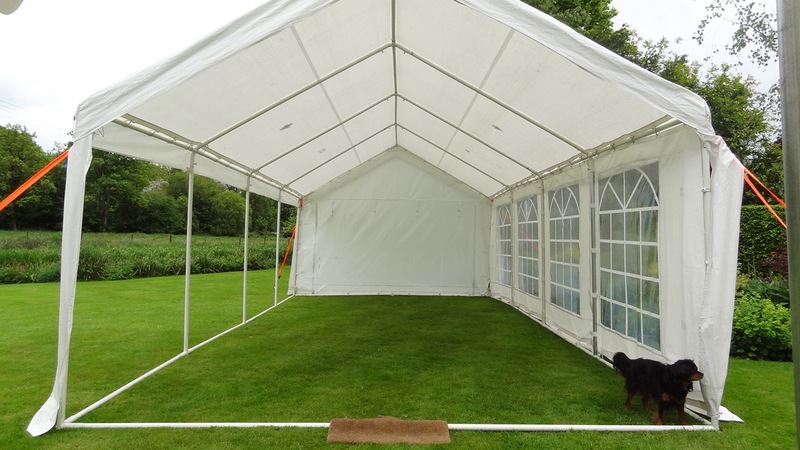 Our original marquee is 50% smaller than our new one, and is now 7 - 8 years old. 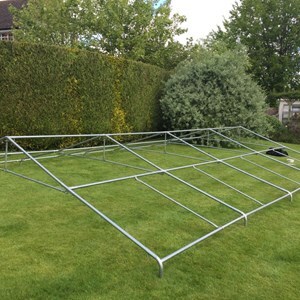 In the roof panel there are three small holes which have been patched and properly sealed. 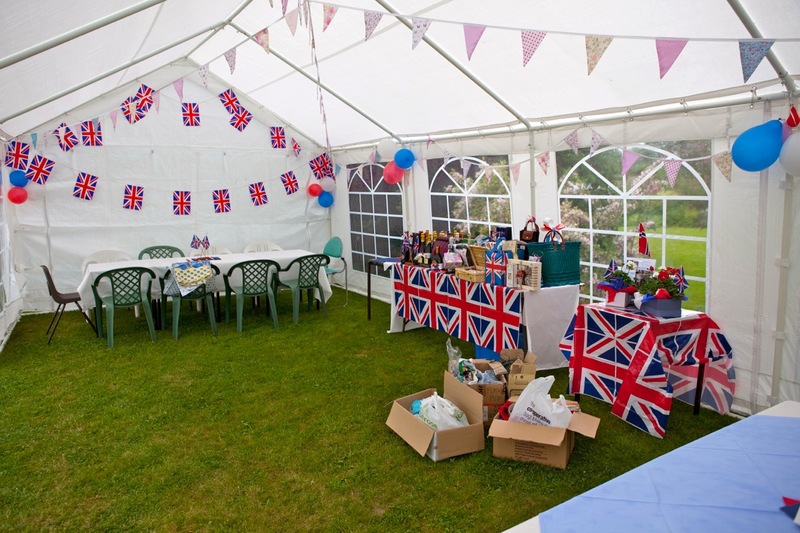 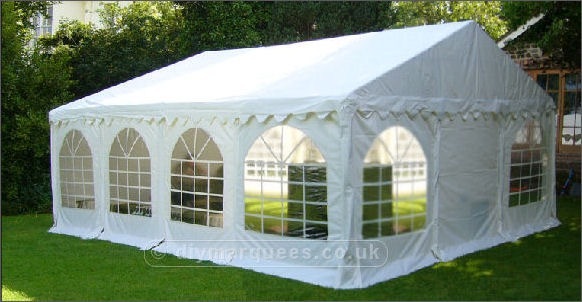 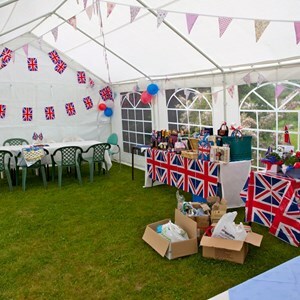 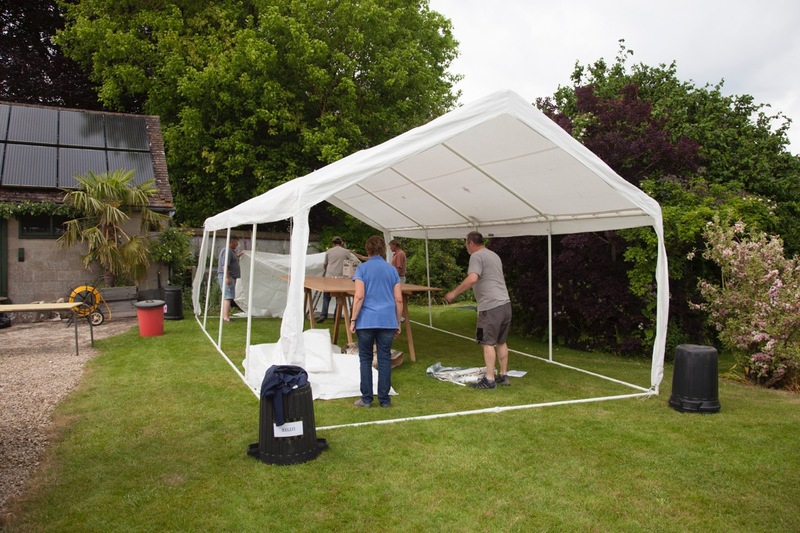 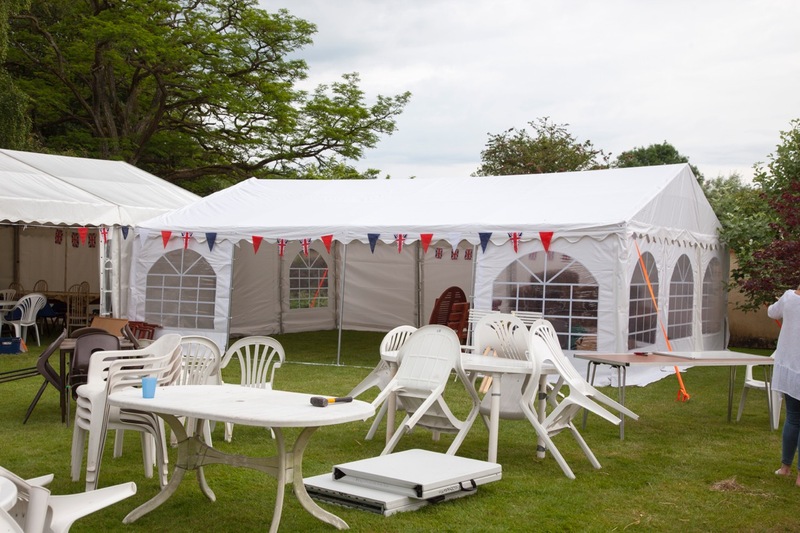 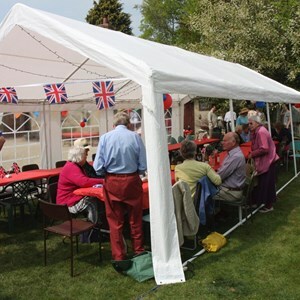 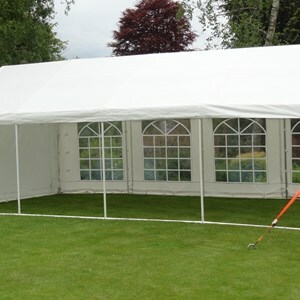 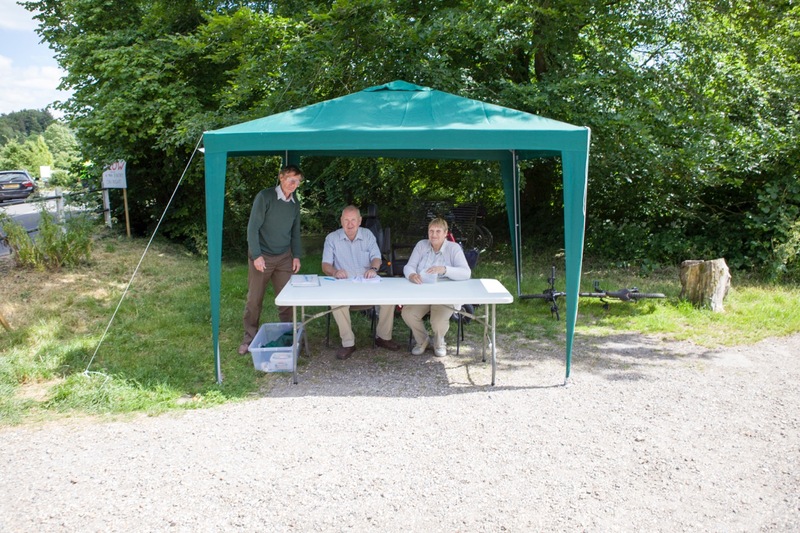 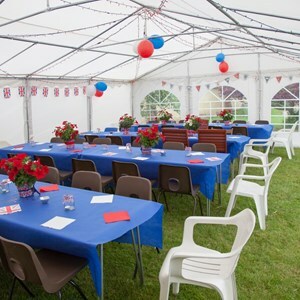 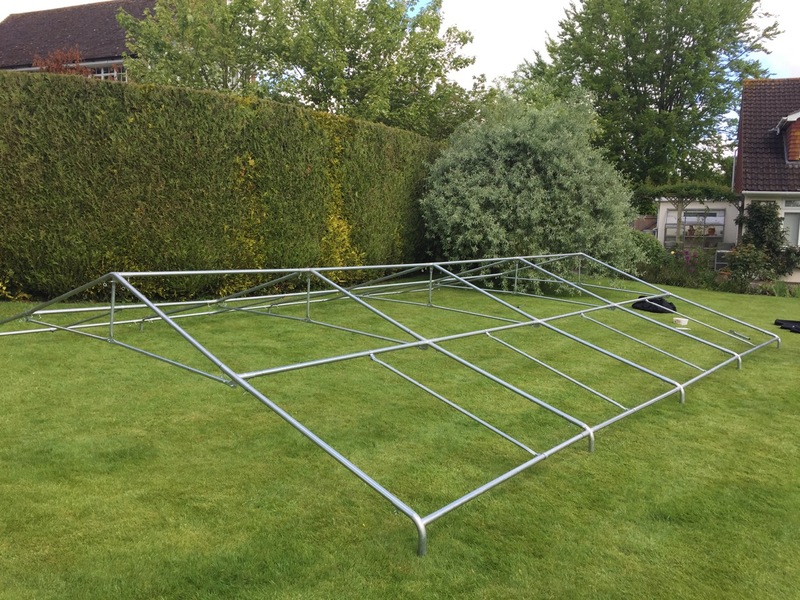 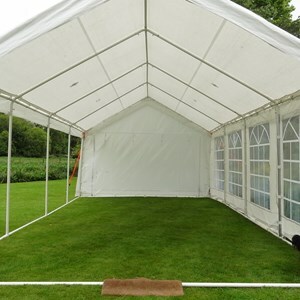 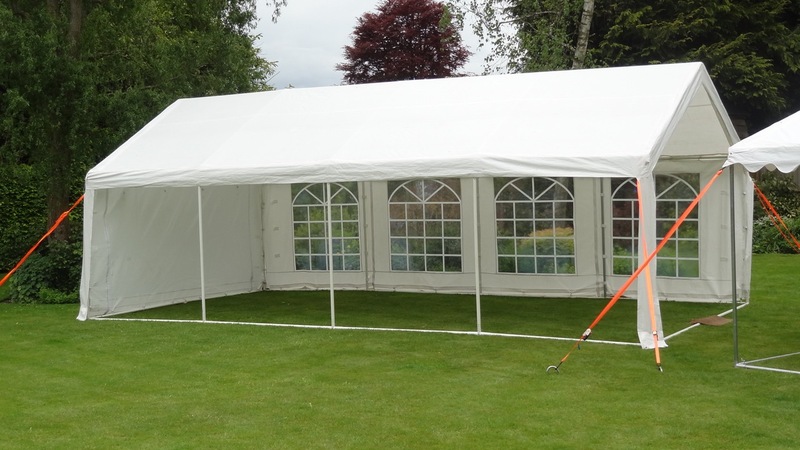 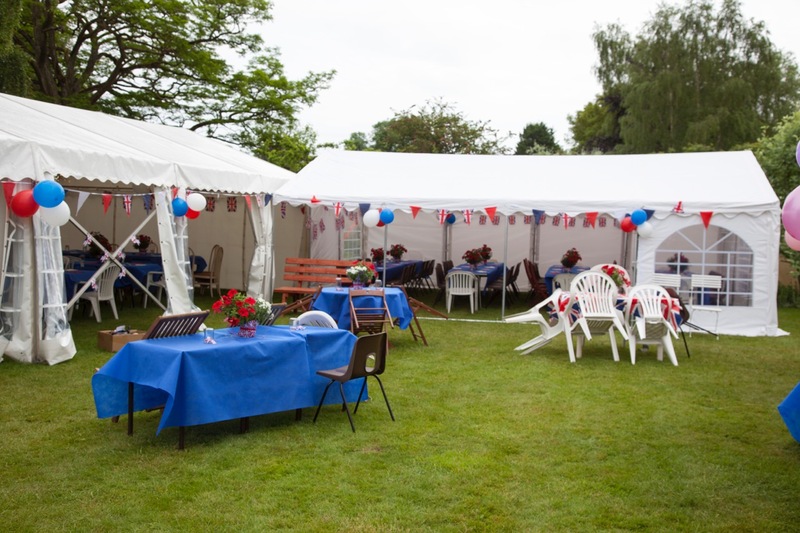 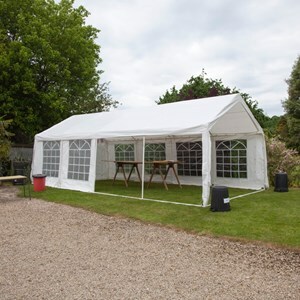 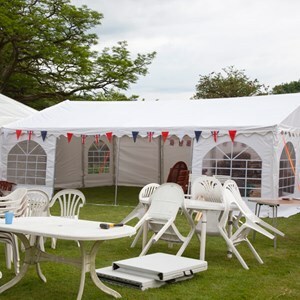 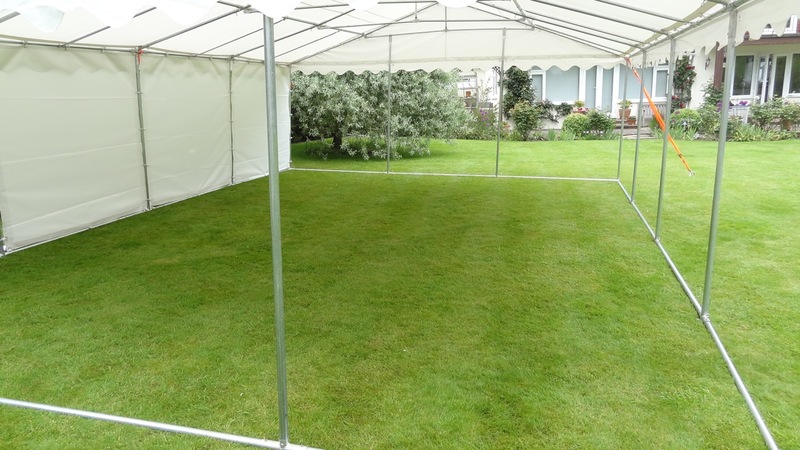 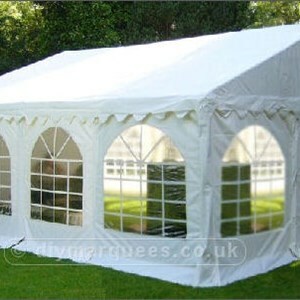 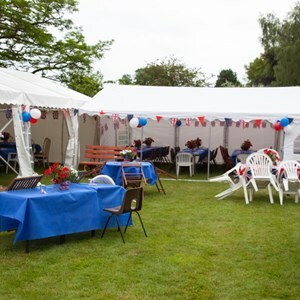 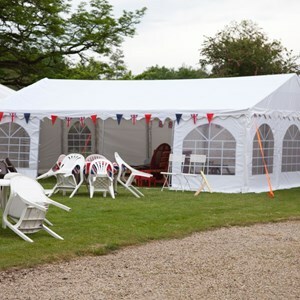 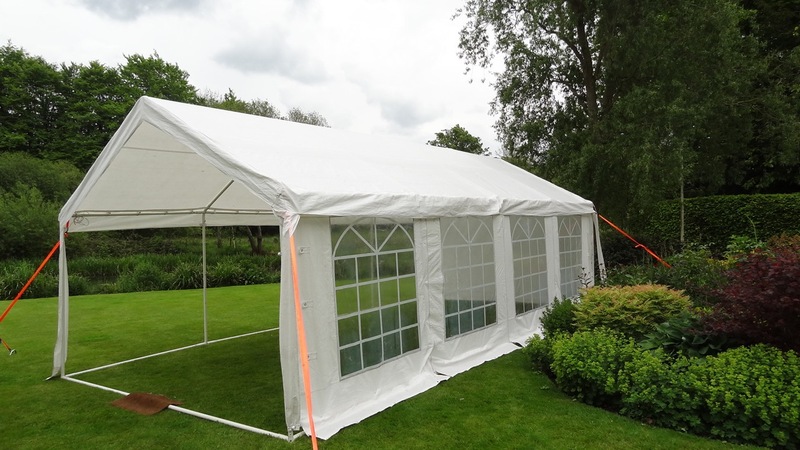 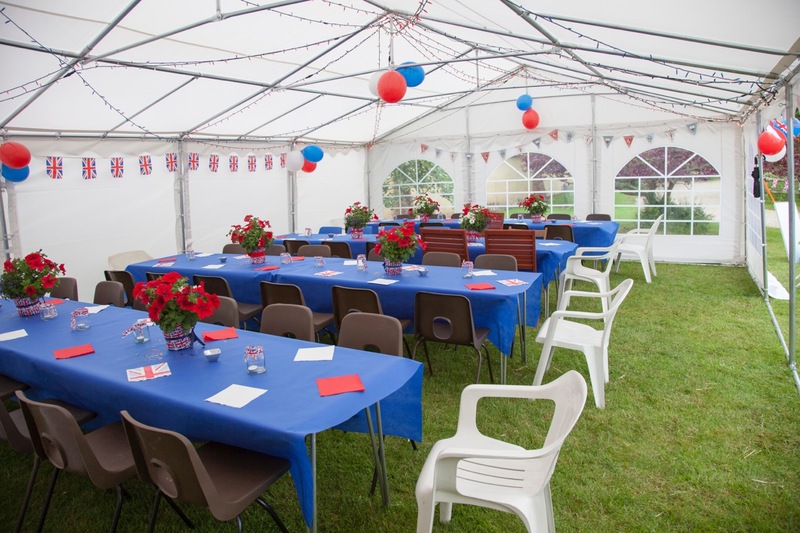 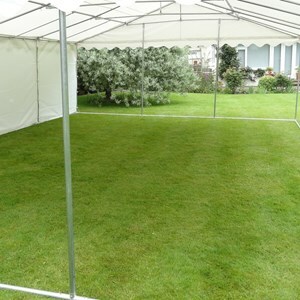 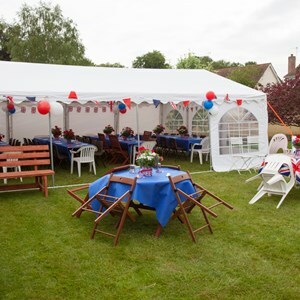 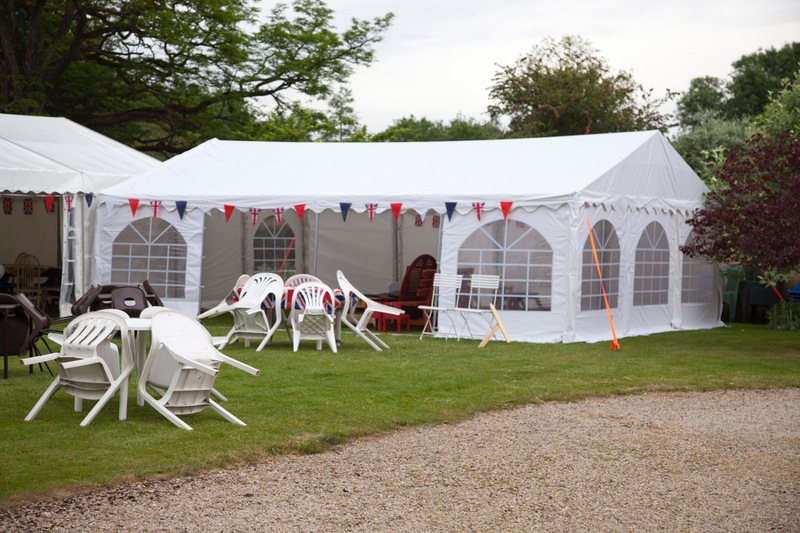 Although the repairs don’t stand out, the charge for renting this marquee has been reduced from £50 to £35 per hiring. 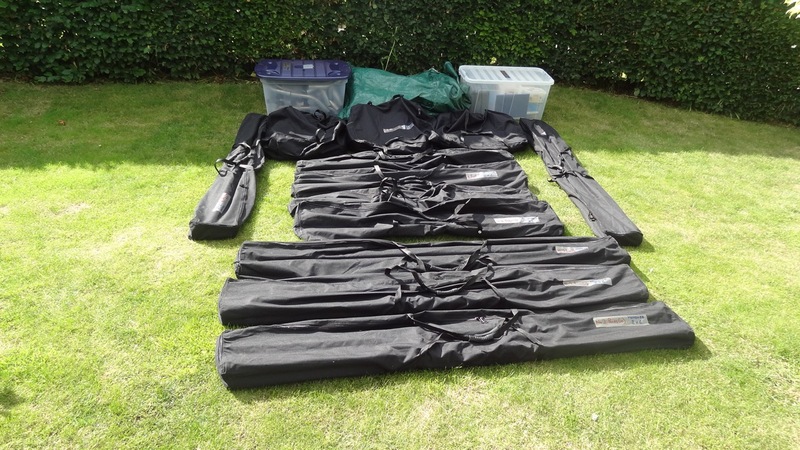 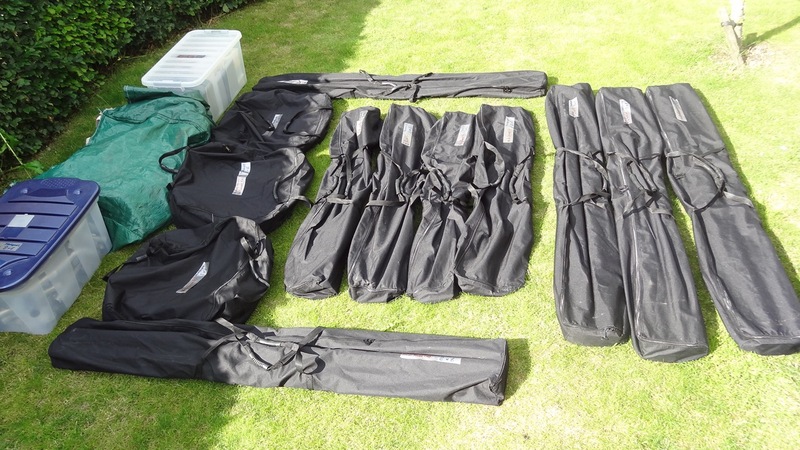 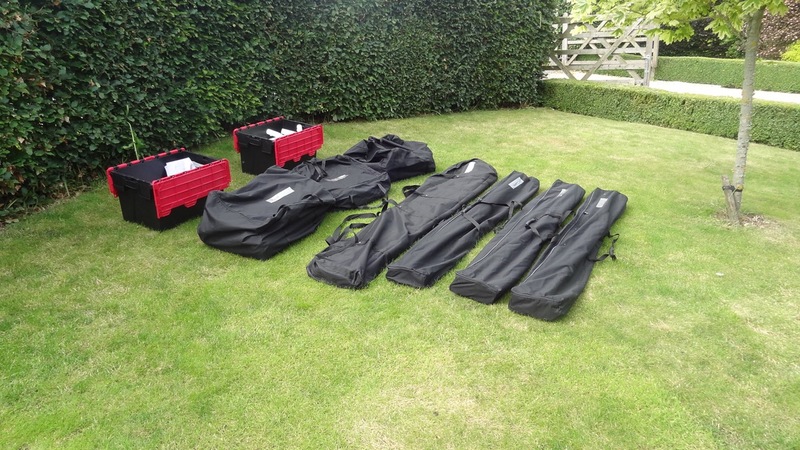 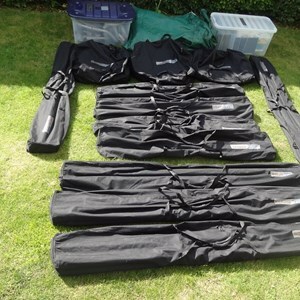 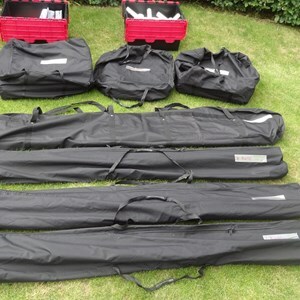 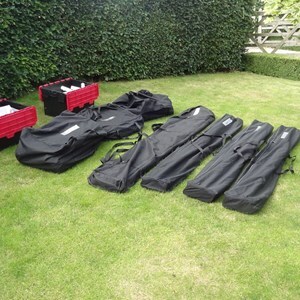 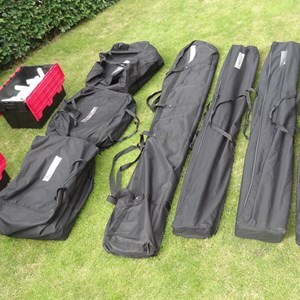 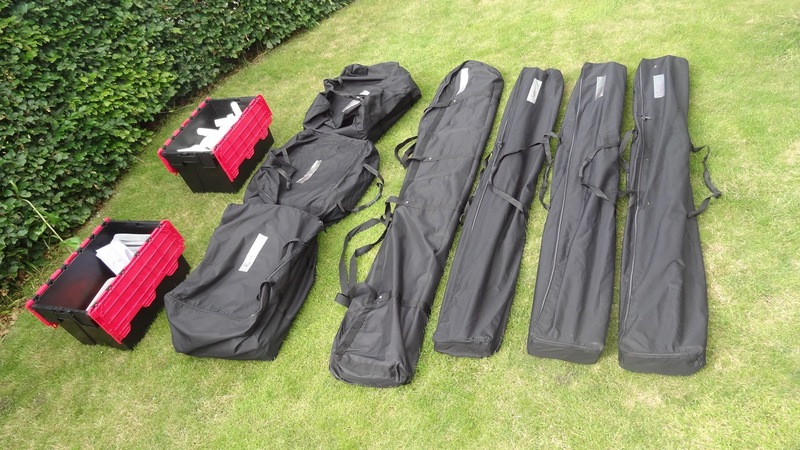 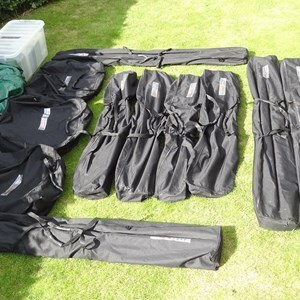 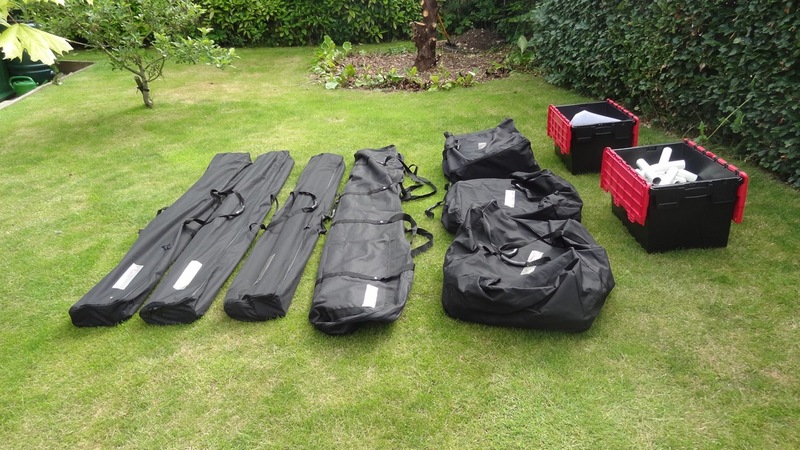 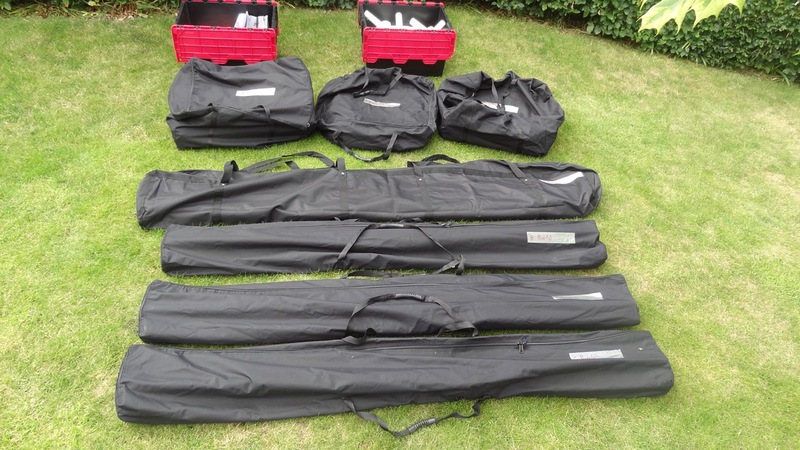 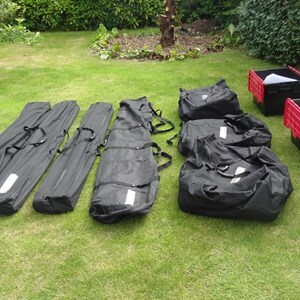 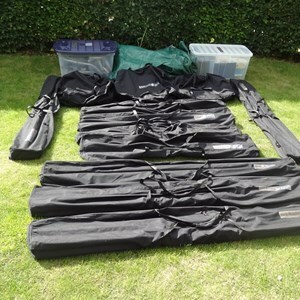 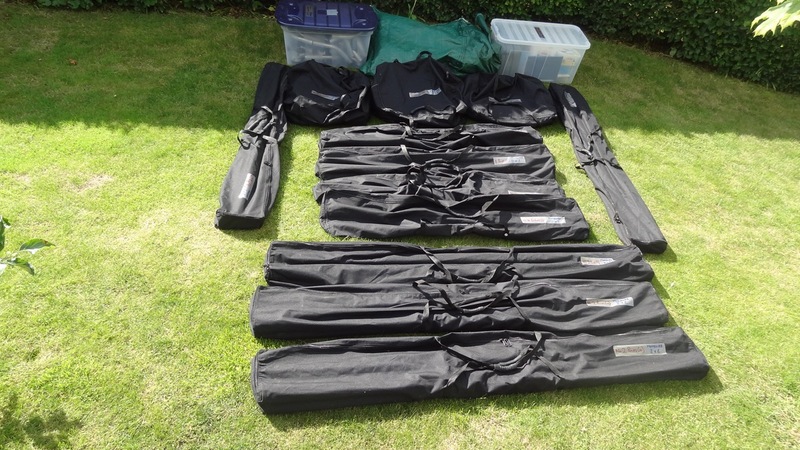 As can be seen from the attached photographs, there are 4 pole bags (one slightly longer bag for poles marked “A”), two strong plastic boxes containing bolts, pegs and attachments, and three roof and side bags. 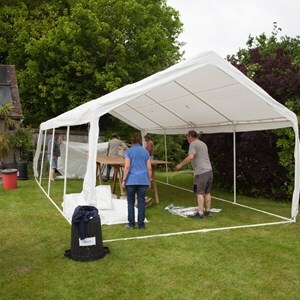 It is fairly straightforward to erect, and some basic instructions are included in one of the boxes.